The MiniStar 1213 is the smallest insulation blower that we offer, but it is no slouch. 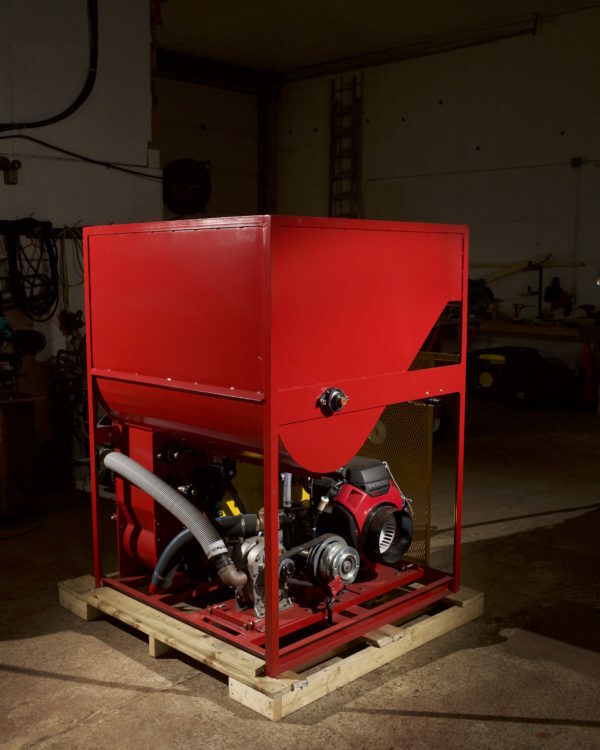 With it’s small footprint and impressive output, this Insulation Blower can be mounted in most trucks or trailers with room to spare without having to sacrifice production on the job. The MiniStar 1213 has the smallest footprint of all of our insulation blowing machines, but that doesn’t mean it can’t pull its own weight. This machine is equipped with a 13.5 HP Honda® Engine powering it’s Sutorbilt 3M Positive Displacement Blower, augers, and two-finger shredder system. 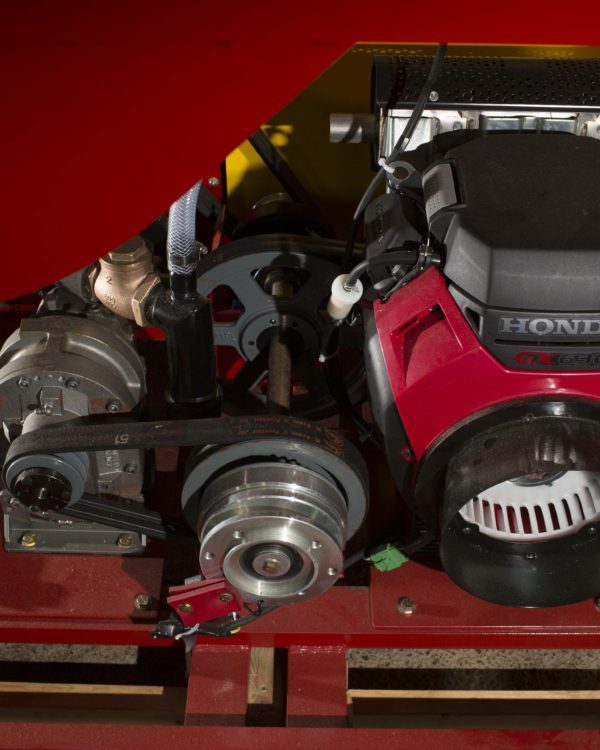 This machine is built for retrofits. If you want to be able to hop from home to home adding bulk insulation to attics, and dense packing insulation in wall cavities, then this is your machine. 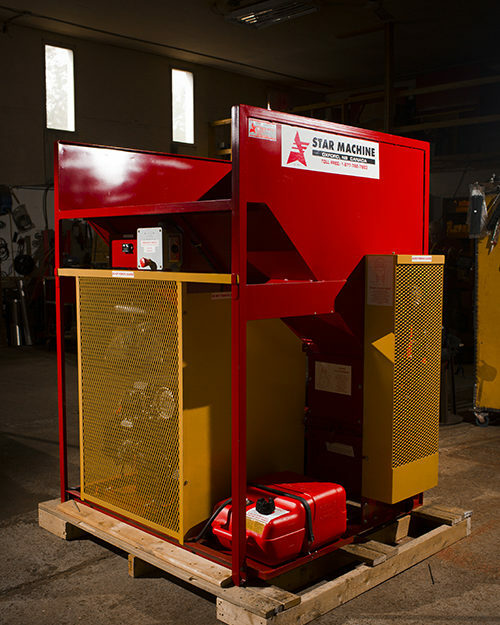 This machine has a built-in hopper gate allowing you to drop the gate for ease of loading insulation into the hopper, and then shut the gate to increase the height of the hopper to top it off that much more! 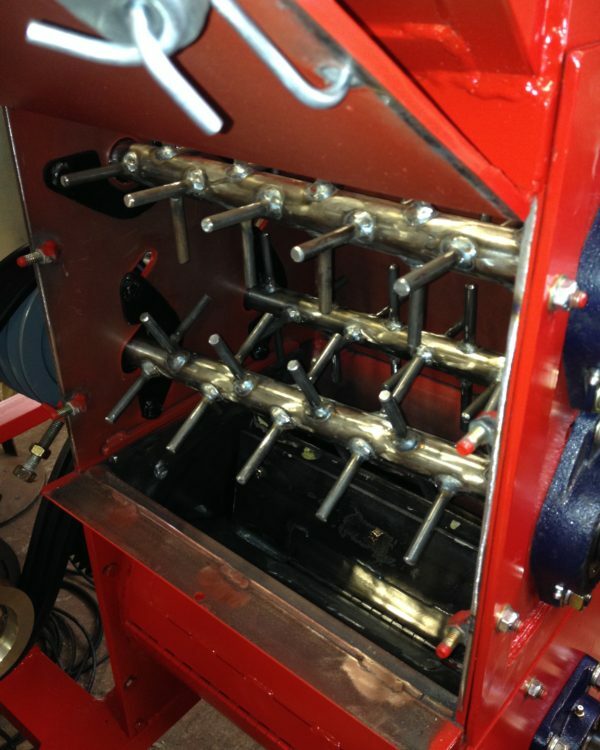 We offer a special upgrade combo on this machine that requires two changes: we upgrade the engine from 13.5 HP engine to a 20 HP Honda® Engine, and we upgrade the two-finger shredder system to a four-finger shredder system for maximum insulation material yield. This extra power drives the four-finger shredder system, macerating the insulation more effectively so you can get more spread from each bag. Control your Star Machine Insulation Blower from up to 500' away with the Wireless Remote Control Upgrade. A MiniStar 1220 is also available, the same sized insulation blower machine, but with a more powerful Honda® GX630 688CC Engine. 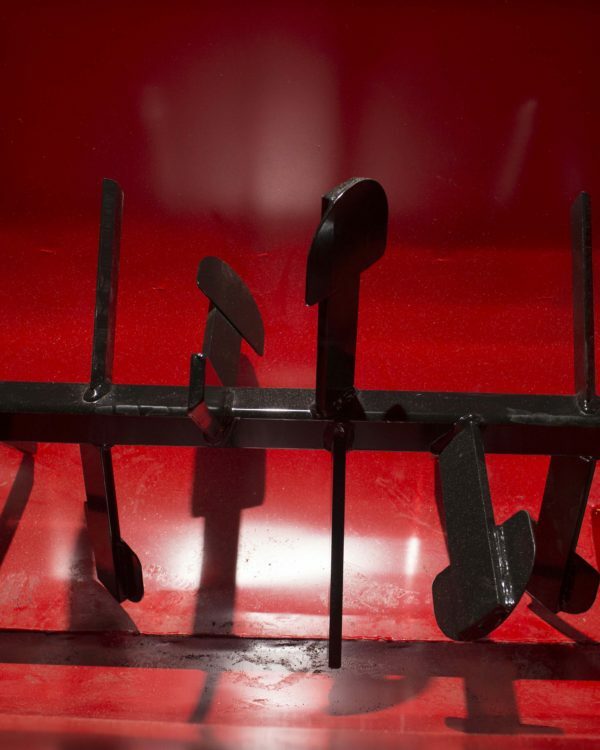 The extra power makes an upgrade to the four finger shredder system possible. 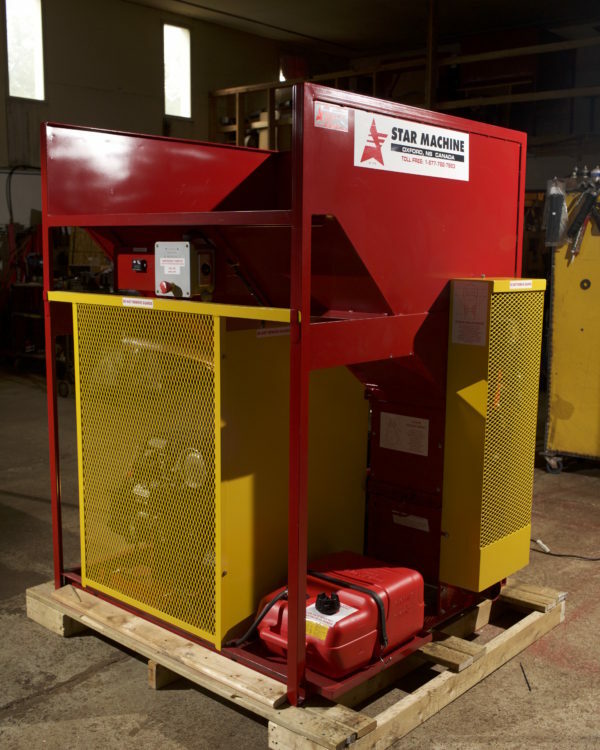 The Four-Finger Shredder System is the ideal upgrade for fiberglass or rockwool insulation blowing applications. The extra row of shredders help to better aerate the material and maximize the yield from each bag of insulation used saving you up to 10% every time!